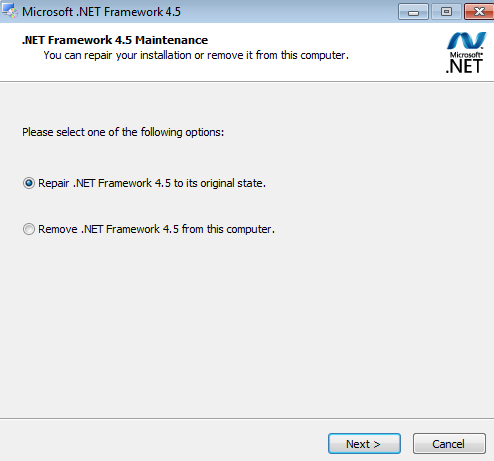 If you're encountering issues while installing, updating or running Connectify Hotspot and get a Windows warning about the .NET framework on your PC, you need to do a .NET repair install. Run the installer as you normally would, but select 'Repair' instead. Once the .NET repair install is done, Connectify Hotspot should work without any issues.